This week’s task list has been driven by the rain forecast. 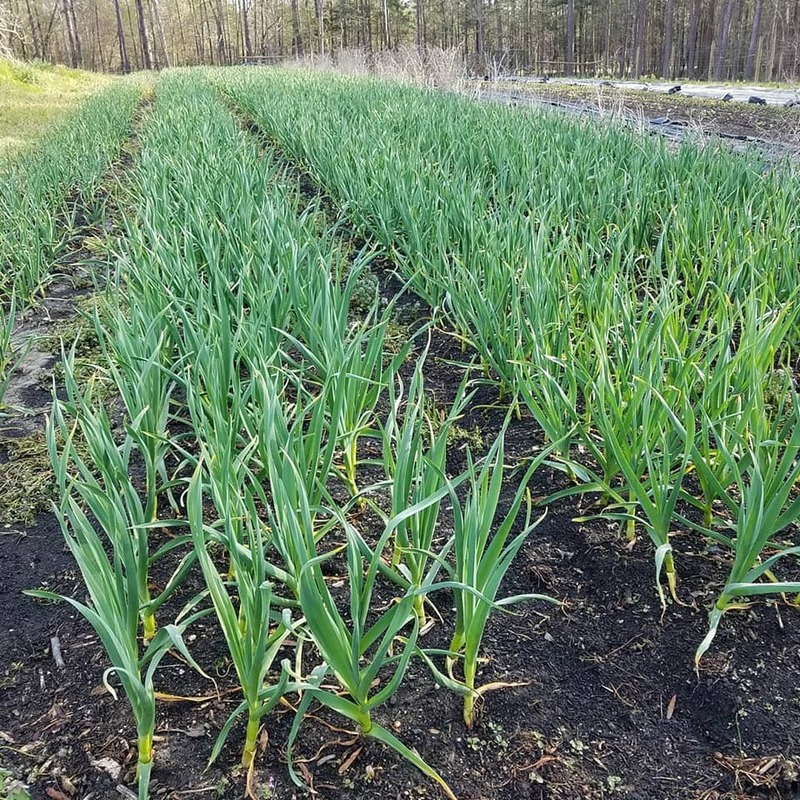 We had a list of what we needed to get transplanted into the field beds before the end of the day Monday, and likewise before the end of the day today so that the babies could get watered in nicely from above. Meanwhile, April is an excellent month for weed growth, so we’re doing our best to stay ahead of them. 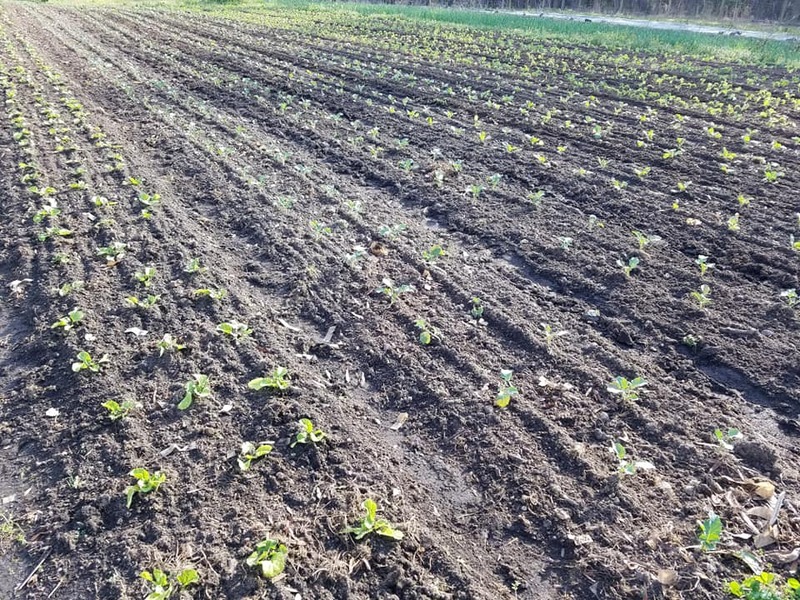 Fields are filling up and plants are growing. Well…as we said last week, most things are growing. Some things are dying. That’s how it always is! 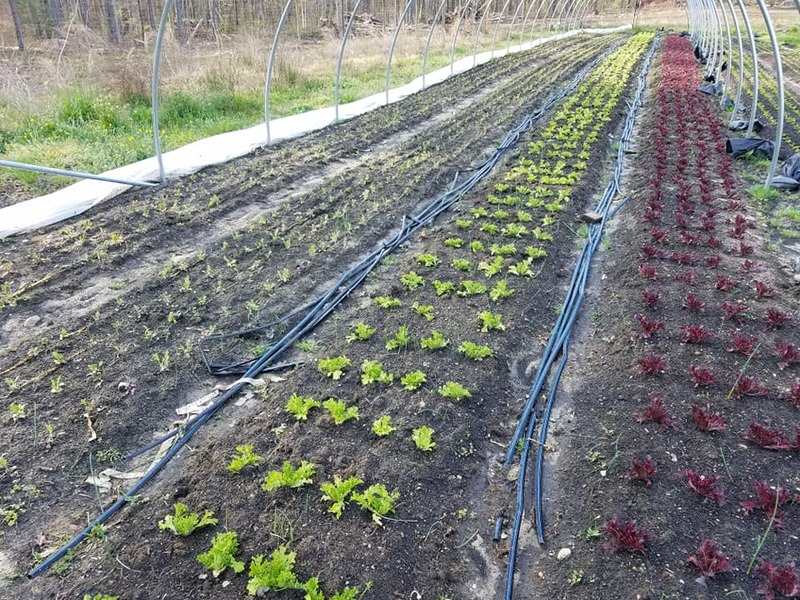 The hoop-houses are gradually being filled with summer crops. 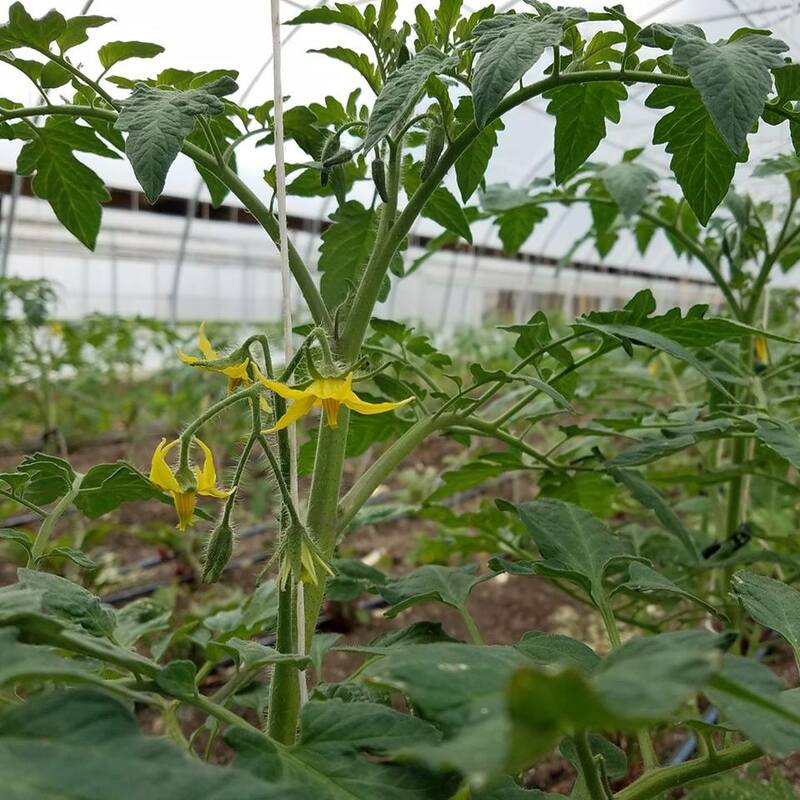 We’ll tend tomatoes, cucumbers, and sweet peppers for months in these hoop-houses. 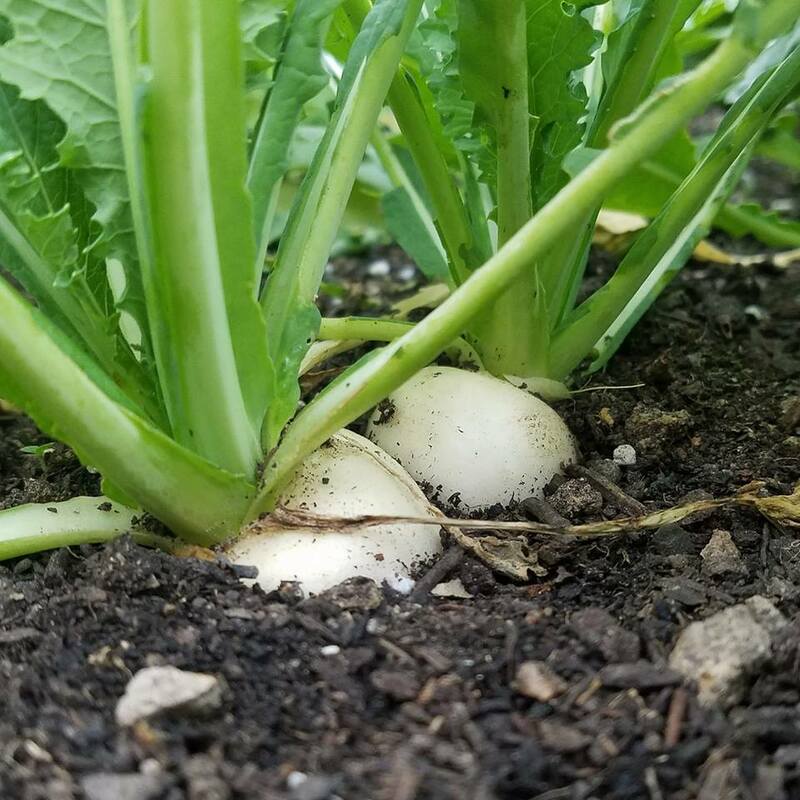 It’s okay to plant warm-season crops now in places where you can be sure to protect them during cold nights, so we will bring Tomato plants and Summer Squash plants to Farmer’s Market @ St. Stephen’s , plus our assortment of cool-season crops, too. See complete list at the bottom of this email. We’re also now harvesting more and more goodness every week. Hearty Green Mix, pictured above, and Sweet Salad Turnips, pictured below, will be at market tomorrow, along with an assortment of other veggies. See complete list at the bottom of this email. Our Farm Share is filling up! Thank you to everyone who is already a member of our Farm Share! 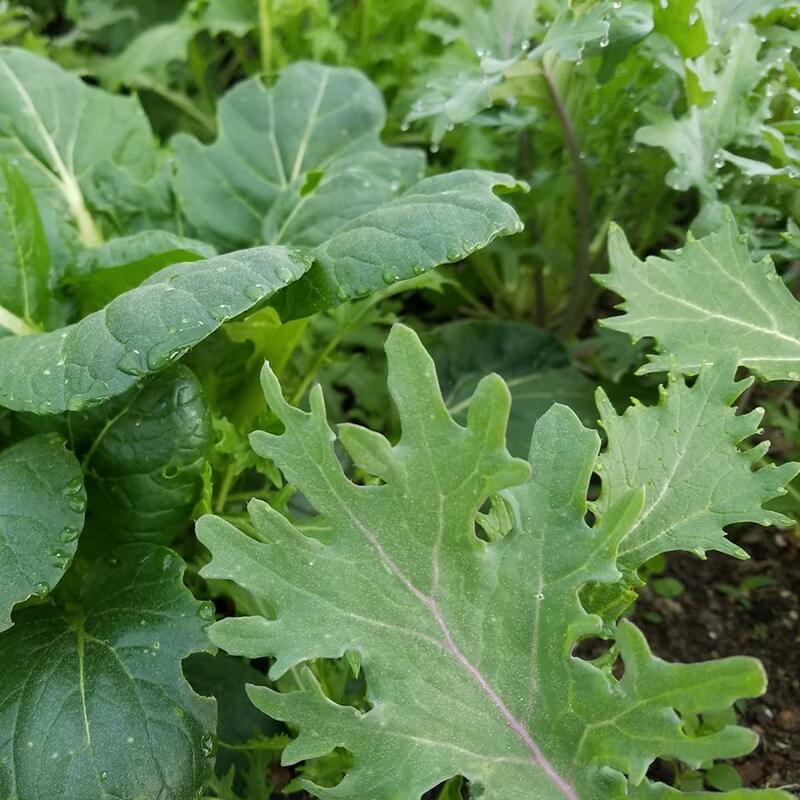 There are about 10 Farm Shares left for our main season, May through November. Join us for weekly or bi-weekly vegetables (your choice), and customizable shares! We love software that works for the 21st century farmer *and* Farm Share member. It’s thanks to this slick software that we get to let you know what we have available for harvest, and you get to choose what is in your share. This is just beautiful. Invest in your local, Certified Naturally Grown farm *and* your health! Read details here and please sign up via that link to join our farm. 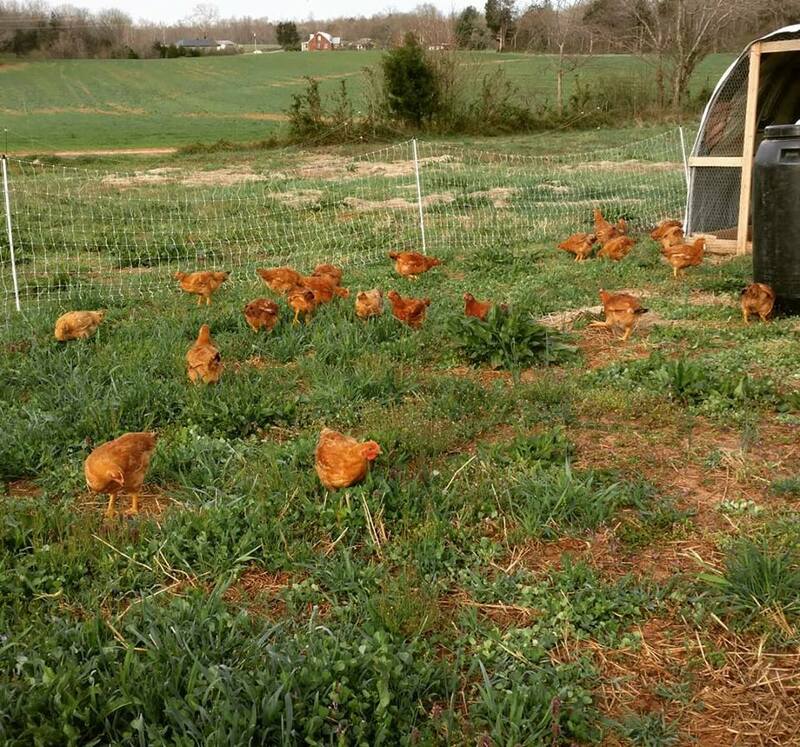 AND — for members who pick up their share at our farm on Wednesdays, Peacemeal Farm is once again offering a Chicken Share that you can pick up at the same time as your vegetables (and bread). Email Betsy and Chris at PeacemealFarmVA@gmail.com to find out details and sign up for your Share. 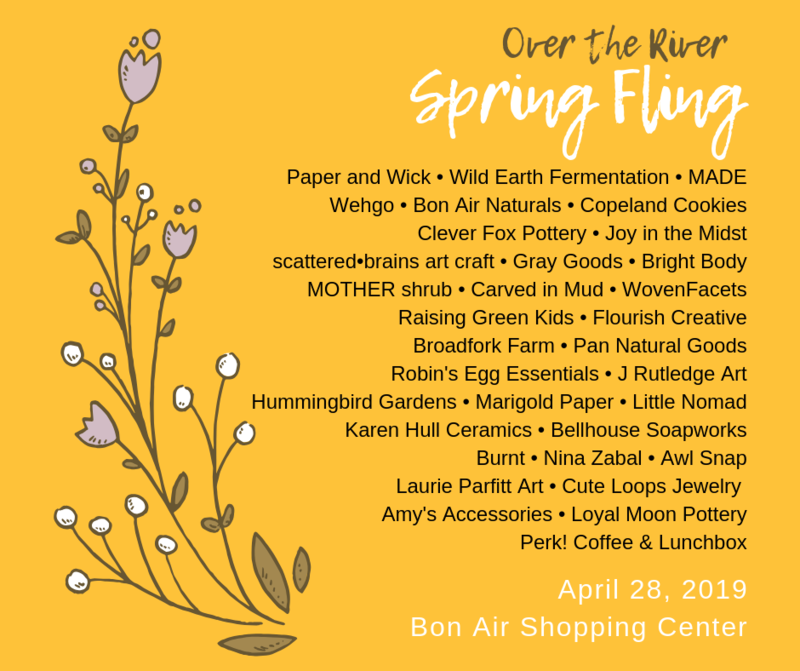 Once again, we will be at the Over the River Spring Fling in Bon Air. This special event on Sunday, April 28 from 10-3 will be full of talented artisans, tasty food and drink, and our plants, veggies, and bread. Plan to stop by! PLANTS for your garden: Kale – Broccoli – Cabbage – Lettuce – Arugula – Spinach – Chard – Cilantro – Dill – Thyme – Sage – Rosemary – Mojito Mint – Peppermint – Lemon Balm – Lavender – Tomatoes – Summer Squash – and maybe Cucumbers …and we’ll bake our Organic Hearth Baked Bread (Baguettes, Herb, Whole Rye, Raisin, & Seed loaves for this weekend). Everything remaining after our farm stand is shopped (plus the bread we bake Saturday morning)… we’ll bring on Saturday to the Farmer’s Market @ St. Stephen’s – which moves back outside this week. Also keep an eye on what we have available via Richmond’s only online farmers’ market: FallLineFarms.com.